Abstract: this article aims to Identify performance and mathematical reasoning of students using technological applications, pointing out the appropriate technological tools to aid in the teaching of mathematics, seeking the use of virtual programs, cell phones, tablets and notebooks, as well as the difficulties of learning. For this, bibliographical study on several scholars such as Moran (2007), Demo (1993), Tajra (2001) and P (2008) and a field research, in State College Dr. Ives Orlando Lopes da Silva, with students of the first year of high school. The use of such tools can develop in the student a more active and enjoyable participation in the school environment, taking into account that the handling of these devices make the students feel more familiar in school, improving the quality of teaching and learning. However, these tools require care and follow-up on the part of the teacher, so that the handling of the same be applied correctly and effectively in the development of the discipline. Keywords: technological applications, teaching mathematics, quality, learning. The use of technology in schools has been growing every day. It is reasonable to assume that the use of the same right is facilitating the learning of the students, improving the interest of same by the matter. Through technology, the students and teachers can also broaden knowledge, interact with each other, exchanging information that lead to find out effectively the desired responses. Several scholars such as Moran (2007), Demo (1993), Tajra (2001) and P (2008) have been devoted to thinking about the use of technologies and teaching practice. Argue that the teaching goes through with the good use of internet is need a paradigm shift. Point out that even with the changes offered by the technologies, the teacher will not lose their jobs. The educator will always be needed because what changes is the focus and the numerous learning opportunities, such as videoconferences, the educational software that provide the development of multiple skills, the chats, search sites, among others. With this, you should also check the performance and development of students using applications in learning mathematics, since it is of good use and exploitation of these, always monitored by the teacher, so that, in addition to identifying the performance positive, also can identify the points that bring difficulties. In this proposal, consisting of ideas of the authors cited in the previous paragraph, it becomes less and less use of Blackboard, the textbook and the teacher conteudista, while increasing the application of new technologies. They are characterized by interactivity in learning (is a “Web” of knowledge and a networked education) and the ability to simulate situations involving virtual environments connected to everyday reality. However, we must always observe the use of technological tools is actually facilitating learning mathematics. The use of technological tools in excess and wrongly can hinder the performance of the students. For example, the handling of search results resolved can disrupt the reasoning of students and consequently contribute to the failure of learning mathematics. It is therefore of paramount importance that applications and Web sites, among others, have a follow-up on the part of teachers. To do so, require teachers to be prepared to interact with a generation more updated and more informed, because the modern media, led by the Internet, allow instant access to information and students have an easier time to get knowledge through the technology offered for your disposal. Make use of technological equipment, applications to mathematical education and educational software, points to a form of pedagogical innovation based on constructivism sociointeracionista which, with computer resources, you can take the educator experience an opportunity to understand the mental processes, the concepts and the strategies used by the student, and with this knowledge, mediate and contribute more effectively in the process of knowledge construction, as suggests Brave (1997, p. 22). Interview with students, and how the use of data collection questionnaires on the use of cell phones, tablets and notebooks in learning mathematics. Conversation with teachers and the school direction about the difficulties in the teaching of mathematics. cell phones, tablets and notebooks in the teaching of mathematics improves learning? “. The use of technological equipment, as already mentioned, has become indispensable nowadays. Globalization and the need for quick information coming each day leaving people closest and fond to technological tools. This kind of snapshot of information is, in fact, essential to facilitate the pursuit of knowledge. However, it is subject that still cause discomfort for some teachers. The reason that led to the use of cell phones, tablets and laptops in the classroom, the difficulties that students have in learning mathematics. The reasoning and formulas applied on conventionally bring right disinterest, because it comes to a lot of information, which the student must put on paper and therefore write in memory. The huge number of cell phones, tablets and notebooks in the possession of students me to find out if the adaptation of the teaching of mathematics to these tools bring greater interest and better performance in the calculations and logical reasoning. How do you explain Primo (1999), the interaction is mutual implies negotiation and is reactive when it comes down to the stimulus-response. The ‘ tools ‘ that mediates the action of teacher and student learning are ancillary, always available and very helpful when well used. It is from the judicious choice of educational tools and the appropriate use of the Web (with all its features) that we can aspire to more daring ways and even more interactive. Some schools and many teachers suggest a ban on cell phones and tablets in the classrooms, whose justification is based on extreme situations, i.e. take into account abuses on the part of the students that are connected to the internet during class, texting even in moments of evaluation, photographing and filming everything what can and what should not. Classes in possession of electronic devices with instant access to information from the internet has concerned teachers in relation to the identity of this generation, that by claiming that classes mediated by teachers are getting in the background or in any plan, since the use of cell phones during the explanation of the subject often. They say that the fact that attention is to know why you don’t see more interest in learning about relevant issues in school, but on funny videos, ironic phrases, who is “getting” with whom, etc. The question is: the ban of these devices at school use? Are these objects that cause the students lose attention in class? Uninteresting classes take the student to seek something more attractive, because, according to Içami Tiba (2006), the class must be compared to a meal: if it is well prepared and the dish is well mounted and handsome, pleasing to the eye, the pupil, even without being hungry , will want to prove. Plumer (2005) says that society becomes with a lot of speed because of the new media in real time and that events anywhere in the world are almost instantly known everywhere. The same also reinforces the idea that values, beliefs, customs and habits were overcome by the influence of the information about the behaviors of people, causing a transformation in the basis of communities that, for your time, are not always prepared for a absorption of this magnitude. What the teacher should do is to use these tools in favor of you, seeking methods to associate them, in the case of mathematics, so that the use and interest students are awakened. In short, the technology facilitates the transmission of information, but the teacher’s role remains crucial in the choice and correct use of technology, software and their applications to assist the student to solve problems and accomplish tasks that require reasoning and reflection. The use of cell phones, tablets and notebooks in the teaching of school mathematics are a means of improving student performance, as it becomes a magnet for the same, involving it in a virtual world with tools capable of stimulating the interest in mathematics. The educational software can be classified into two large groups: those who promote the teaching and that support knowledge construction. The software that promote teaching are presenting content ready for students such as tutoring and encyclopedias. To assist them in the construction of knowledge are those through which students can express themselves, representing their ideas and viewing the results of your actions, such as graphical editors, spreadsheets, database, among others . However, despite all these contributions, the use of technology continues to be a challenge, there’s still resistance on the part of some teachers, doubts, difficulties and contradictions. The teacher should be updated and knowingly choose which technologies to use in educational projects, understanding knowledge as a continuous process of collaborative construction, of which he is Advisor. With students motivated and active, learning outcomes tend to be more durable. Philippe Perrenoud, in the book entitled Ten new skills to teach, highlights the ability to use new technologies. Second Perrenoud (2000), the teacher should get appropriate technologies to meet them, exploit them, as your planning, in situations that provide educational gains. The games in these appliances tend to attract children and teenagers, because they stimulate the active participation of those who interact with them. The teacher can then choose mathematical games according to their pedagogical proposals, addressing contents and strategies it intends to develop, in a way that is enjoyable for the students. Games can assist in the development of vision-the motor coordination logical reasoning and the construction of mathematical concepts. A good use of these resources in the teaching of school mathematics gives meaning to the activity, establishing relationships with objects of study and systematizing the results obtained in the proposed activities. Today, in Brazil, most students have these devices and handles well, understanding the operation of the same. The biggest difficulty is by some teachers, who do not have the slightest familiarity with these objects, failing to apply mathematics in order to attract students to the proper use of the appliance. Still using methods leave students make cell phones and tablets, a refuge for away school, which they consider boring and complicated. Often, mathematical programs are little used in classrooms by teachers because some are not willing to engage students or themselves in this kind of technology. The fact that generates contrast is the unpreparedness of teachers on integrating such programs into your daily practice. However, when the teacher engages and applies these features, finds effective programs for which students use notebooks in favor of learning mathematics. Are various tools available to aid in the learning of the students, but teachers in the mood and willingness to get such aid and study the proper use of them is not a simple task. One of the reasons that can be considered as a barrier, which prevents the faculty to apply such features, is the lack of incentive for the training of teachers. 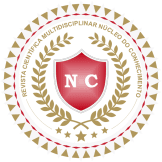 The School Board and/or competent bodies do not provide means and resources for the training of these professionals of education, nor offer sufficient financial conditions. In some cases, the school offers the tools, however does not offer training. The difficulty is still greater when it comes to teachers with more than twenty years of career, whose methodology limited the use of the textbook. Technological programs as Cinderella, Geogebra, Eureka.in and Cabri Geometrician, able to engage the learner and encourage you to awaken the interest in mathematics, are fascinating, yes bring with features that actually facilitate the understanding and learning. Is a flat geometry program that allows students a greater interactivity with the dynamic geometry. With this program the student may learn by practicing, building and manipulating virtual objects. The use of this program, the students ‘ interaction with the vastly improved geometric shapes and the use of the “notebook” in math class became an ally. 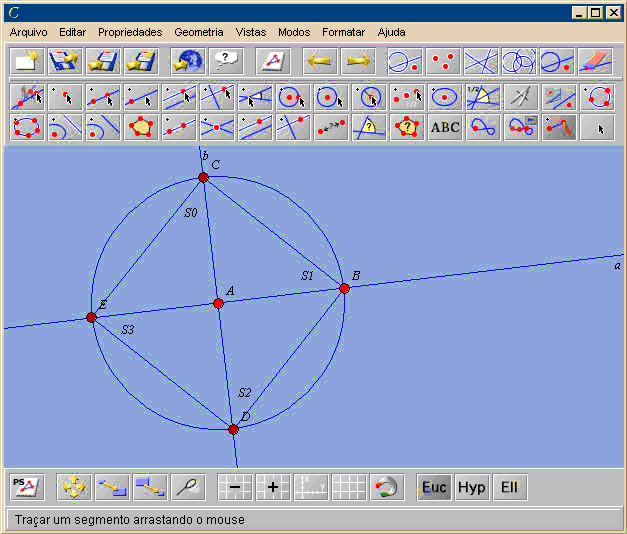 As a program designed to do geometry on the computer, the “Cinderella” is a tool to investigate geometric constructions. The user only has to use the mouse to interact with the program, which features the following in the first moments of usage. The buttons feature suggestive images, which allows their functions are easily intuídas. In addition to the usual utilities, there are buttons to create points, lines, circles, polygons, midpoints, perpendicular, parallel, to measure lengths, angles, areas, to cheer, to export, to create interactive exercises, to use the compass, etc. In the Aspect Editor (Properties menu) is the possibility to choose the colors of the elements (points, lines, construction fund, etc. ), as well as the respective sizes, among other options. The interaction with a construction becomes very enjoyable. Mathematics in the “Cinderella” is based was, in part, especially in your creation. The authors ‘ effort in this direction was compensated with the fact that all buildings have guaranteed total mathematical correction and the animations are free from “the problems” that plagued other similar programs. He also has the ability to “recognize theorems”, which consists of casual, not geometrical phenomena noted whenever these occur. Another application of this capacity consists of the recognition of the correctness of the resolutions of the exercises exported from other programs. If a student to build the right solution to a problem, the program recognizes it immediately, regardless of the method of resolution. Thus, this program came to assist the teacher in the classroom and at the same time encourage you to the use of technology in teaching mathematics, because when the teacher really improve your mediation with the students, everyone wins. Is a dynamic mathematics software for use in the classroom, geometry, algebra and calculus. The program allows you to conduct geometric constructions using points, lines, line segments, polygons, etc., as well as allows you to insert functions and change all these objects dynamically, after construction be completed. Equations and coordinates can also be directly entered. Therefore, the “Geogebra” is able to handle variables for numbers, points, vectors, derive and integrate functions, and even provide commands to find roots and extreme points of a function. 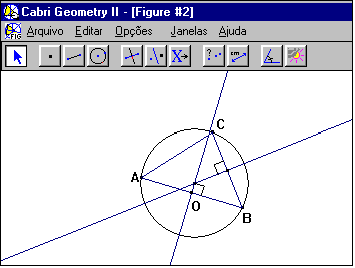 With this, the program brings together the traditional tools of geometry with other more suitable for algebra and calculus. This has the advantage of teaching acting, at the same time and in a single visual environment, algebraic and geometric characteristics of a same object. With it, you can work with geometry in three dimensions. Is an educational software considered innovative, bilingual, giving the teacher and the learner the opportunity to understand and explain the concepts of difficult mathematical interpretation. With this technological tool, the student may feel more motivated to learn and understand complex subjects of mathematics, including in three dimensions. The impact of images in memory of students no elucidation, in addition to bringing excitement to learning. 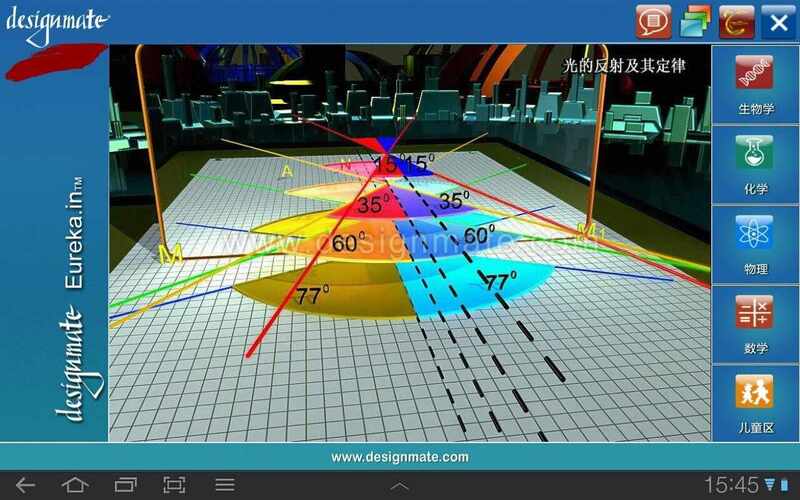 Is a dynamic geometry software, mainly for learning geometry at school. He can animate geometric figures, unlike those drawn by hand. Is available for plane geometry or geometry in three dimensions. This software is the ancestor of all other programs of dynamic geometry. In addition, geometry researchers can use it to design new buildings, difficult to do on paper. It is mainly used by teachers and can be used by everyone who wants to explore graphs and functions. This program was developed for Windows operating systems and Mac OS. Cabri Geometrician enables create mathematical objects that can be manipulated dynamically on the screen of the laptop, which is not possible when working with pencil and paper, in which objects are drawn as feature remain static. It is known that the familiarization of students with such programs is not yet continuous and frequent, because they need encouragement and appropriate mediation to its uses. The important thing is the teacher know involve your students in this environment, where the practice of use of laptops in the classroom is made toward learning the discipline of mathematics, guiding them to the conscious use of technology tools in the classroom. The teacher must mediate such content and uses of these tools not as holder of the knowledge, but as an agent who is willing to learn along with the student the various ways to improve your mediation and handling of technological devices. How do you explain Freire (2004), the educator is no longer only what you raise, but what, while you raise, is polite, in dialogue with the learner, to be polite, also educates. Dialogue is essential to productivity in the classroom, because the doubts, concerns and the difficulties encountered in this course may lead the student trying to dodge a way more suitable for the use of mobile phones, tablets and laptops in the classroom . Evaluate students with geometric, numeric expressions and algebra, built with the use of electronic devices mentioned above, once used at random by the same was challenging, because such activities had to be well chosen . It was important that the activities include challenges doubters, who expanded the knowledge of the group. Explore the tools and raise questions about what could happen if you change the data of formulas, encouraged them to seek understanding curiosity more broadly. The performance was evaluated by the development of handling and understanding of mathematical propositions, in which the skills with charts and numbers were encountered during the use of the equipment. On the exposed, fit the teacher get the right tools to attract student attention, arousing in him the desire to learn and continue learning. However, these tools must be selected and operated correctly. In the case of cell phones, tablets and notebooks, which are already in possession of the student, the teacher it is necessary to use them in your favor, if not pursue associate class with these devices, it can be monotonous and without stimulus, arousing the students attracted to activities contrary to your goal. Planning, methodology and dialogue are essential to the success of the class. The teaching activities should promote more meaningful and functional learning possible, who have sense and eliciting a favorable attitude to perform them, that allow the greatest number of relationships between the different types of content, which are knowledge structures, on the one hand. On the other, should facilitate the understanding of a reality that never presents compartmentalized (p. 186). Therefore, the use of technology can facilitate learning and, with your increased use, teachers need to adapt to this “new way” to learn and to teach, because educational programs built for this purpose are in an advanced growth. The use of such tools develops in students a more active and enjoyable participation in the school environment, taking into account that the use of such resources do the students feel more familiar in school, improving the quality of teaching and learning. Brito, g. s., i. c. Teacher Education and new technologies: in search of a real connection. Curitiba: Protexto. 2003. Demo, P. modern education Challenges. Petrópolis, RJ: Voices, 1993. FREIRE, p. pedagogy of Autonomy: knowledge necessary for educational practice. 29 ed. São Paulo: Peace and Earth, 2004. GRINSPUN, M. P. S. (Org.). Technological education: challenges and perspectives. São Paulo: Cortez, 1999. MORAN, j. m. new challenges for the educator. In: _ _. We want education: new challenges and how to get there. Campinas: Papirus, p. 2007. Paiva, Vera Lucia Mark Darlington. The use of technology in the teaching of Foreign Languages: a brief historical retrospective. Available in <www.veramenezes.com echist.pdf=””>access on 5 jun.</www.veramenezes.com> 2015. PERRENOUD, Ph. Ten new skills to teach. Porto Alegre: New Haven, 2000. PLUMER, AND. The Sociology of Durkheim. In: TESKE, (Coord.). Sociology: texts and contexts. Canoes: Ulbra, 2005. COUSIN, Alex F. T.; CASSOL, Márcio b. f. 1999. Exploring the concept of interactivity: definitions and taxonomies. Computers in education: Theory & Practice. Porto Alegre. Vol. 2, no. 2, p. 65-80, Oct/1999. SETZER, v. w. electronic media and education: an alternative view. São Paulo: Scriptures, 2001. TAJRA, s. f. computing in education: new pedagogical tools for the teacher today. 5. Ed. São Paulo: Erica. 2001. TIBA, Içami. Teaching learning: new paradigms in education. 18. Ed. rev. and current. São Paulo: Integrare, 2006. BRAVE, J.A. the clever use of computer in education. Patio Pedagogical Magazine, Porto Alegre, year1, n. 1, p. 19-21, 1997. VANG, c. r. Lives and circumstances in mathematics education. São Paulo. 2000. 472 f. Thesis (doctoral)-Faculty of education, University of Sao Paulo. ZABALA, Antoni. Globalizing approach and complex thought: a proposal for the school curriculum. Porto Alegre: New Haven, 2002. Annex A-illustration of the program Cinderella. ANNEX C-illustration of the Eureka.in software. ANNEX D-illustration of the Cabri software Geometrician. Graduated in Portuguese language teacher, by the Lutheran University of Brazil, expert in the field of Teaching Geography, Latin American Faculty and master’s degree in educational sciences by Anne Sullivan University.